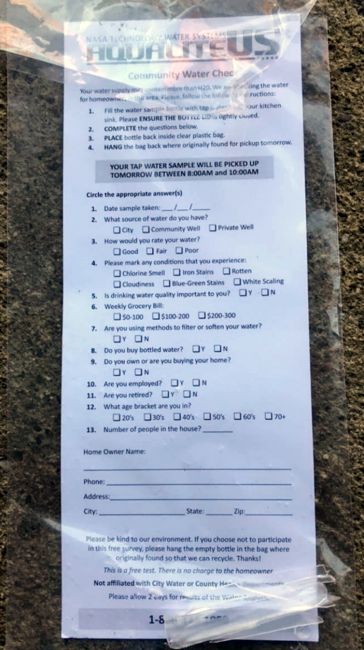 Many MWRA customers have had a door hanger with a small vial left at their door with a request for it to be filled with water to be tested. This request is NOT from the Woburn Water Department or MWRA. It is from a firm selling home water treatment devices. If you are interested in information about your water, check out our water quality test results page. Everything you need to know about drinking water quality is right there. We’re confident about our water quality, and we think that the data will make you confident as well. If you still have questions, feel free to contact the MWRA or the City of Woburn Water Department 781-897-5945.